Preheat the oven to 205 °C (400 °F). Peel the sweet potatoes, then cut into small cubes of about 1 cm (1/2 inch). Slice the pepper into thin strips. In a bowl, toss the sweet potato cubes with the olive oil and paprika. Add salt and pepper to your taste. Spread the cubed sweet potatoes on a baking sheet lined with parchment paper. Cook in the oven for 15 to 20 minutes, stirring halfway through, until the potatoes are soft. Coarsely mash the cubes of roasted sweet potatoes with a fork. 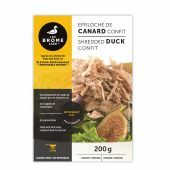 In a skillet over medium heat, warm the duck confit for 2 to 3 minutes, stirring occasionally. Lay a tortilla in another dry, non-stick pan over medium heat. 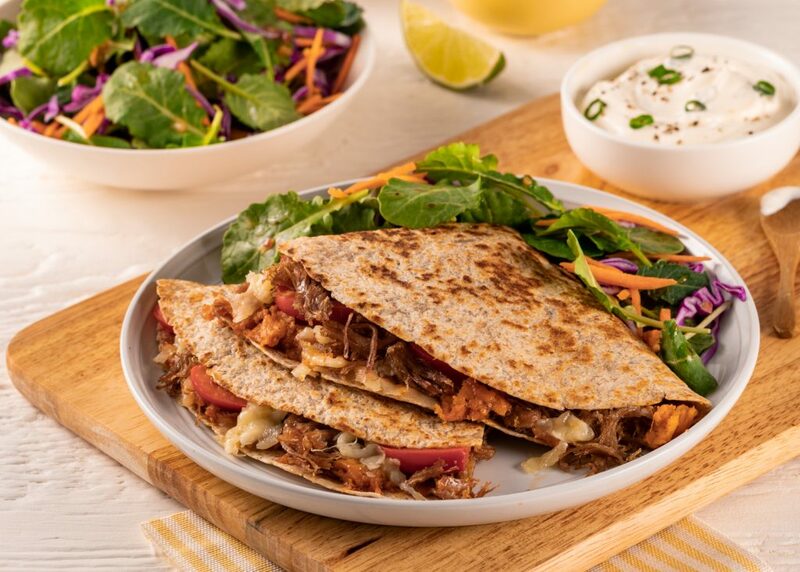 Garnish half the tortilla with a quarter of the mashed sweet potatoes, shredded duck, pepper and cheddar cheese. Fold the other half of the tortilla over the filling. Fry for 2 to 3 minutes per side until the quesadilla is golden brown. Repeat with the rest of the tortillas and filling.